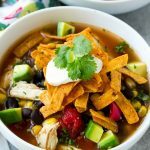 This slow cooker chicken tortilla soup recipe is filled with chicken, beans and veggies, all finished off with tortilla strips and a variety of toppings. The perfect hearty meal for a cold night! My whole family loves soup, in fact, I have a slow cooker full of soup simmering away as I write this post! It’s finally starting to cool down a bit around here, which means soup is on the menu at least once a week. 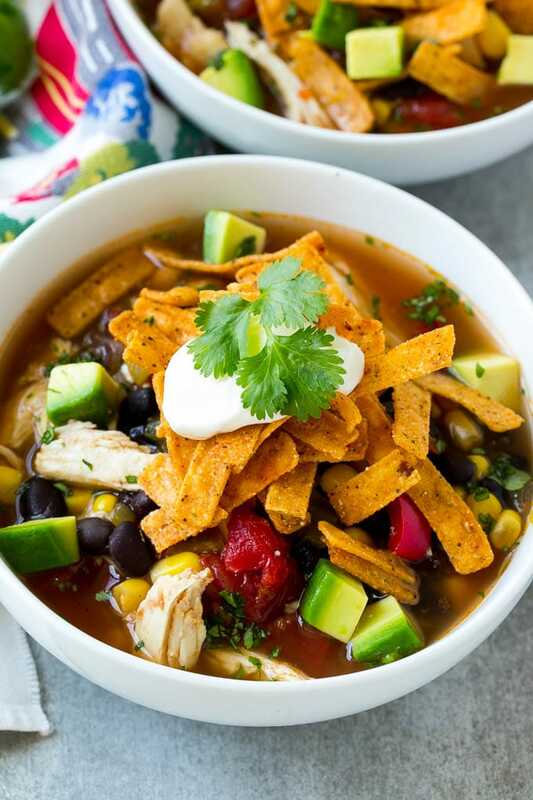 This slow cooker chicken tortilla soup is one of our favorites, all you need is 10 minutes to load up the slow cooker, then turn it on, go about your day, and dinner will be waiting for you when you get home. How Do You Make Slow Cooker Tortilla Soup? 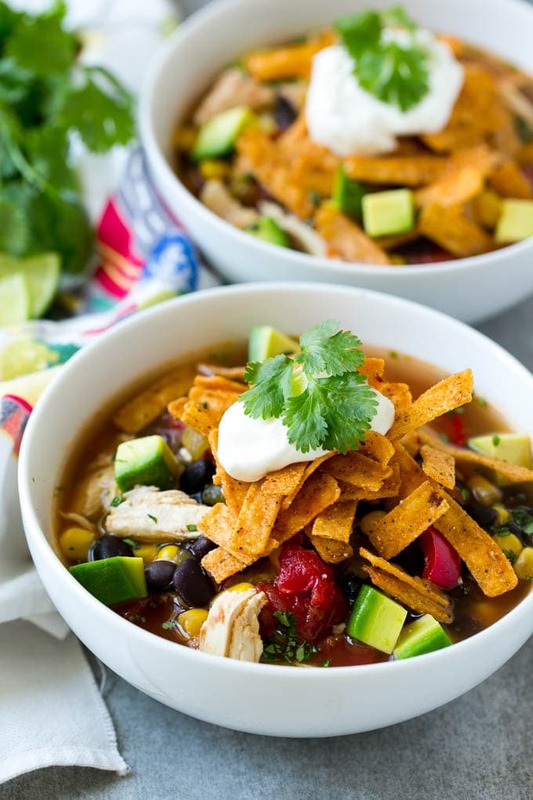 Let’s talk about the ingredients for this slow cooker chicken tortilla soup. We’ve got chicken breasts (throw ’em in whole! 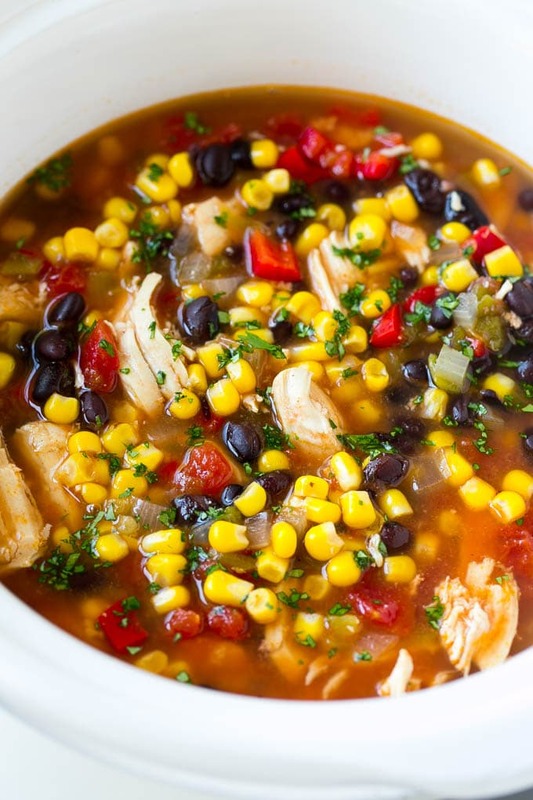 ), onion, red bell pepper, corn, black beans, mild green chilies, chicken broth, tomatoes and spices. All you have to do is put everything in the slow cooker and walk away! When it’s time to eat, remove the chicken breasts from the soup and shred them, then return them to the pot. After you’ve got your chicken shredded, it’s time to serve up the soup and add toppings. Tortilla strips are a must, and I also put out bowls of avocado, chopped cilantro, sour cream, shredded cheese and olives. My kids love to make their own creations, it’s probably their favorite part of this meal! 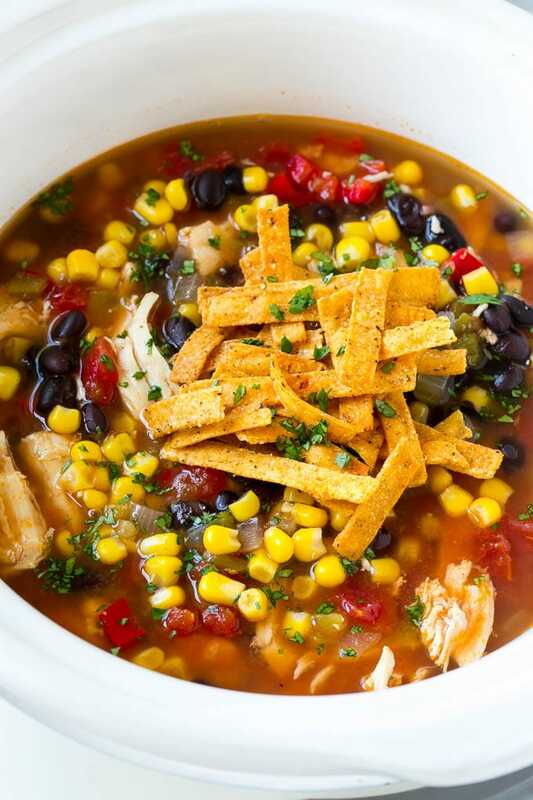 This chicken tortilla soup is on the milder side. If you prefer hot and spicy, you can use a can of hot chilies instead of mild, and swap out the can of tomatoes for tomatoes with chilies for even more heat. You can easily double this recipe if you’re feeding a crowd and it also freezes well! This soup is sure to be on your dinner table all winter long, your family will love it as much as mine does. Place the onion, bell pepper, corn, black beans, chicken, chilies, tomato sauce, tomatoes, chili powder, cumin, garlic powder, chicken broth and salt into a slow cooker. Stir to combine. Remove the chicken breasts from the pot and shred with two forks. Return the chicken to the pot. Stir in the chopped cilantro and ladle into bowls. Top with tortilla strips and any other toppings you desire. Serve immediately. I’m going to make this for Easter (I am SO over ham). If I double this, how big of a crock pot do I need? I’d use at least a 6 quart sized crock pot! Made this soup for dinner and it was a good hit…added a few extra seasoning to really knock it up a notch seasoned salt and crushed red pepper adds a bit of a kick and is so good. 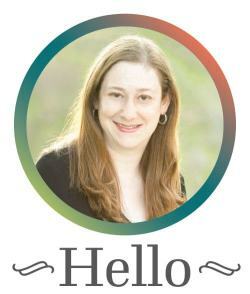 So glad you enjoyed it, thank you for reporting back! I mad a huge batch a few days ago and dont want to toss the rest. How late is it safe to put the rest in the freezer? You should freeze within 3-4 days of making it! Made it for supper, it was excellent. I did however use rotel diced tomatoes since I had them rather then buy the diced tomatoes and green chilies. So happy to hear you enjoyed it, I appreciate you reporting back! Their fire roasted corn is the best. So happy TJ is in Texas, now!! Do you use raw chicken breasts? Yes the chicken is raw! My family loved this soup and the toppings! Love this recipe! It made such a large amount I freezes the rest and it was just as yummy the next week! I don’t like tomato chunks, can I simply omit it substitute? Yes that’s totally fine to omit it!